Gold Coast Traffic Lawyers - Can I refuse a RBT? Traffic Law – Can I Refuse a RBT? 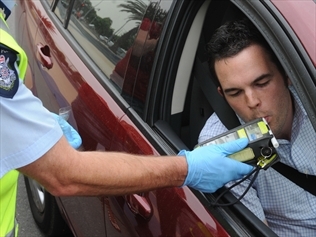 Uncertainty about your BAC could see you loose your licence. A number of clients often ask our traffic lawyers whether they have to provide a specimen of breath. Some people believe that the police must, upon request, obtain a blood test, others are indignant that they have been asked to supply at all. The simple answer is that if you do not provide a sample of breath for testing as requested, you can be charged with failing to provide a sample of breath. This offence is treated in the same way as if you were driving with a blood alcohol concentration of 0.15% or above which results in a six month licence disqualification as a minimum. You can be convicted of this offence even if you had not consumed any alcohol before driving. As with all matters that proceed to court, there are always exceptions to the general rule. It may be that you are able to demonstrate that you were medically unable to provide a specimen of breath or that the requirement was made outside the prescribed time. For this reason, if you have been charged with an offence of failing to supply you should contact our traffic law experts, who will be able to advise you of any defences that you may have.